Regardless how rare a diagnosis, no matter what a family’s socio-economic, marital, or ethnic background, every special needs parent, reeling from the shock of a new diagnosis, struggles with these universal, core questions. When our son was diagnosed with autism in 2004, I was destroyed. I struggled intensely, yet felt unable to articulate my spiritual disillusionment, fear and anger. I stuffed my anguish instead, pasting on my best “good Christian” face. Feeling trapped with nowhere to go with my grief, I raved into a private journal — a password-protected Word document. As if an omniscient God didn’t already know how I felt! Years later, as I met and ministered to other special needs families, I realized we all shared the same core struggles. It wasn’t just me. Faith comes by hearing the Word of God. But when 90% of special-needs families are unable to attend church, how can they believe in whom they have not heard? Who hungers more to hear the Good News that God cherishes and values our children as wonderfully and fearfully made? Who needs hope and reassurance that God has a vision for their lives, plans to prosper and not to harm, plans to give a hope and a future? Where does their help come from? 1 out of 5 of US families are impacted by lifelong disability. Yet most live sight unseen –and underserved– within their own communities. Enter Worthy Publishing, March 2017. In a world that worships excellence and devalues those who are different, I’m thrilled that this visionary publisher deemed this “niche” audience ($mall market) of special needs families worthy of their investment: a priceless and meaningful “coincidence.” God affirms special needs families as Worthy! 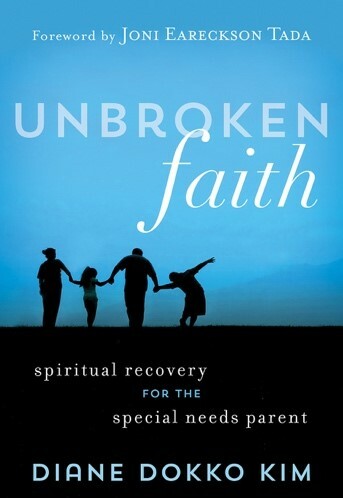 Unbroken Faith: Spiritual Recovery for the Special Needs Parent, releases April 3, 2018, in time for Autism Awareness Month. It’s the book I wish had been available for me during the initial season of grief after receiving our son’s diagnosis. My son had been diagnosed with disability. But I now was spiritually disabled, too. We both had special needs. But only his got treated. Loosely structured on the Kubler-Ross cycles of grief, Unbroken Faith gives wounded parents permission to grieve, process, pivot… and dare to hope again. We are not alone. God gets it. He is in the trenches with us, through all the mess and mystery. His Word is entirely relevant to the raw, gritty yet hallowed spaces of special needs parenting. What the enemy intended for harm, God can redeem into a blessing. He is a redeeming God, the only kind He knows how to be. Who (Else) is Unbroken Faith For? Unbroken Faith isn’t just for special needs families. It’s also for their extended family, friends, church and community — anyone who want to help but may not know how. —Kathi Lipp, speaker and best-selling author of Overwhelmed, and Clutter Free. Lastly, Unbroken Faith is not just for the disabled community and their immediate circles of support. It’s for anyone who’s been “broken” or devastated by disappointment. Whether by diagnosis, disillusionment, a death—or the death of a dream— we all get “crippled” by something. No one is exempt from the jagged edges of a broken planet. Everyone struggles to reconcile faith with disappointment. Disability may impact a segment of the population. But sin and brokenness steal, kill, and destroy everyone, indiscriminately. 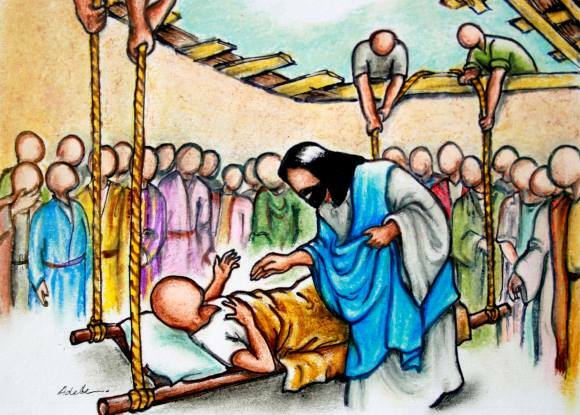 But no matter what the spiritual diagnosis, Jesus is an equal opportunity Healer and Redeemer. FREE Extended Preview, Available Now! Help Wish List. Friends and family often want to help support a family affected by disability. But they often don’t know how –and fear getting it wrong. Meanwhile, special needs families are in need of ongoing help and support, yet find it extremely difficult to accept –much less, ask for!– help. This tool can help bridge the gap, by starting the conversation. 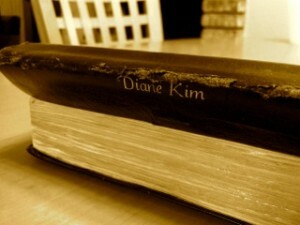 Journal pages: Write your own book of Psalms. This is a blog post/announcement that’s taken me 46+ years to write… about a book I never intended to write… and almost didn’t because it was too hard. But God wouldn’t release me from it, no matter how hard I ran. When The Lord puts His thumb on you with a particular assignment, good luck trying to squirm out of it, whether your name is Noah, Jonah, Evan Almighty or Diane. But that’s another story for another blog (series?). All that said, I am glad I obeyed. Faithfulness is its own reward. HALLELUJAH. 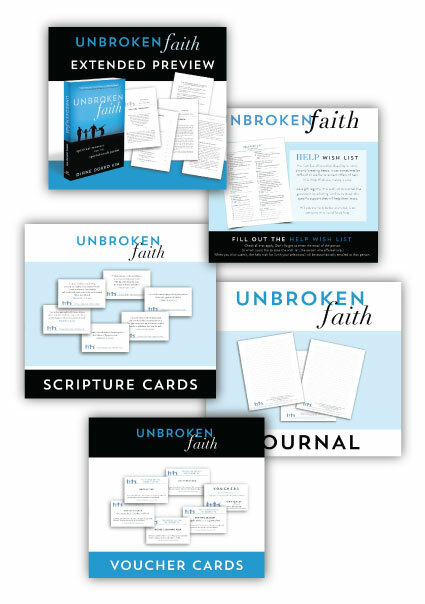 Thank you so much for your support… and for sharing about the upcoming release of Unbroken Faith: Spiritual Recovery for the Special Needs Parent! Thank you so much, dear Jessie! You have encouraged ME <3 So grateful for your support! What a very special book, just a beautiful story of wisdom and hope. Bless you, Diane, as you bless so many families! Jennifer! How marvelous to hear from you 🙂 Thank you so much for your encouragement. God’s been good to both of us, hasn’t He? Many blessings of fruitfulness upon you and your ministry, too!